The job site has started its expansion by launching its Singapore site with 70,000 job postings and related mobile app. Building on its existing 18 localized sites, Glassdoor has entered New Zealand, Singapore and Hong Kong markets. With Singapore as a front-runner for opening a regional hub, the California headquartered employment website plans to open an office in Southeast Asia. “Singapore is a really interesting market for us because visits from people here are already relatively high for the size of the country, which suggests there is a strong appetite for our jobs, reviews, and insights,” shared Glassdoor. While they didn’t share a timeline for the regional hub’s launch, the company also shared that Singapore is an ideal hub in the region because a lot of major employers in the city-state are already Glassdoor customers in other markets. Besides Singapore, Glassdoor aims to cater to the market of New Zealand and Hong Kong as well. 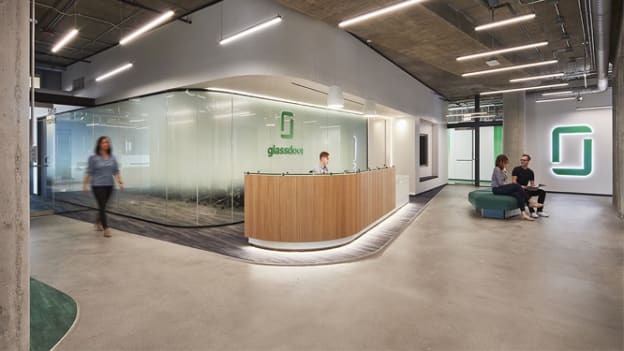 John Lamphiere, Vice President and Managing Director of Glassdoor International said, "Glassdoor has always appealed to a wide global audience and with the increased focus on Singapore, Hong Kong and New Zealand, we are looking to make the Glassdoor experience for people and businesses in these locations even more valuable." Although people have been already engaged on Glassdoor in all the three countries, Singapore is one of the recruiting site’s top 10 markets, with people in the Republic visiting Glassdoor’s main site about 9,00,000 times monthly. In New Zealand, on the other hand, there were 2,390 companies reviewed, with 18,547 job listings. “There are 80,000 reviews and insights for 11,000 companies and this has happened organically with no promotion. This suggests to us that the appetite for this kind of data in Singapore is strong,” added Christian Sutherland-Wong, Glassdoor Chief Operating Officer Sutherland-Wong. Glassdoor pairs together the latest jobs with useful insights into a company's work environment, pay practices and other important facets of employment and aims to make the job search and recruiting process better. While globally its competitors include companies like PayScale, CareerBuilder and Vault, in the region it has to compete with names like JobStreet and JobsDB. Amidst this competition, how Glassdoor fulfills its mission to help people find a job and company they love is to look forward to.